MEEEEAAANNN WHILE back on our leader board No Limit Excedrin Racing still leads the field but their lead has been cut in 1/2 as both BancieriF1 & top banana racing had a better points haul this race. Also with that round win How F1 climbed (+7) breaking into the midfield and UltimoF1 was bumped out of the top 3 after a very consistent run. Who will make the most of their chances before the summer break??? Great commitment, Mayhem. They really need to update how quickly the competition updates. I'd have thought it were as simple as typing in the results and then a program apportions all the points.. Alas, not. Congrats How F1. To get the top four correct is pretty impressive. I was stoked just to get the Mercedes 1-2! THANK YOU , they are pretty good with the updates normally 24hrs after the race it’s done. I’ve seen delays before that came midweek but it’s not common. I’ve also thought it was just a program you just type the results into and let it sort everything out. Hopefully it’s just an issue this race. Also cost myself 10 points by swapping Magnussen out for Grosjean at the last second. I figured one Haas would have a bad day, and Grosjean looked better in practice. Oh well. The Hungaroring a complex navigating circuit known for its tight sectors with back to back corners. A track that rewards a strong chassis over high horse power. In practice Redbull were Friday morning champs once again with a strong showing and matched the Ferrari of Sebastian Vettel in Fp2. In Fp3 it was another strong showing by Ferrari but the mercs came to play as well matching the pace. Setting us up for what appeared to be a very close qualifying. In qualifying it started out with mix conditions but then the clouds came in fast and furious with a down pour quickly separating the men from the boys. Q3 was quite the show with all drivers on full wets and poor visibility effecting everyone. But it was Lewis Hamilton whom mastered the conditions and put down the best lap of all to claim a very rocky pole position with Bottas right behind. On race day we had a merc 1-2 and both Ferrari’s leading the chase. Valtteri Bottas did a stellar job keeping both Ferrari behind allowing Lewis Hamilton to get away and dictate the pace up front. Redbull had mixed emotions as mad max suffered engine failure and the smiling assassin coming through the field to claim p4 after a poor start. Bottas had quite the race one hand doing a great job holding p2 when it mattered most but then running out of tires once again to fall victim to both Ferrari’s. 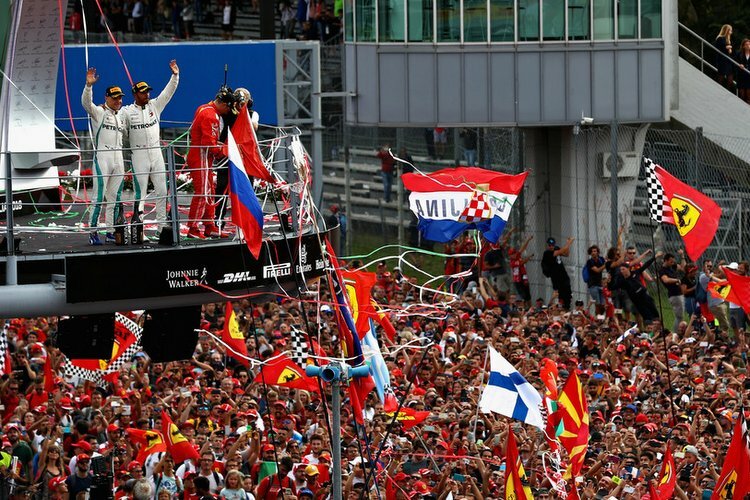 Ferrari split their strategies trying everything they could to get vettel into possible lead contention but it was not to be as Lewis Hamilton cruised in for the win. Can Ferrari come back even stronger for the 2nd half? Will Hamilton run away with the title?? Is this first half of the season what you expected ??? Last edited by Mayhem on Mon Jul 30, 2018 10:28 pm, edited 1 time in total. MEEEEAAANNN WHILE back on our leader board the top 3 remain the same as No Limit Excedrin Racing still leads the field with a small gap of 11pts to nearest rival. In the midfield their has been quite the shuffle as Bernie Sanders Racing (+3) now leads the best of the rest, also climbing up the ranks were How F1 (+2), Ernie_f1 433 (+4),Harestock F1 (+1) but the BIG mover this round was Strange Thingys GP (+7). Everyone else dropped some spots in the midfield and Further back p14-21 there was no change what so ever. With the summer break now upon us, it is still very much any ones game. The season has been quite the roller coaster and we have seen what 1 good race can do for your overall results. Keep pushing, thanks for playing and I’ll see you all back here in 3wks time. Last edited by Mayhem on Tue Jul 31, 2018 1:06 am, edited 1 time in total. Good result for the team going into the summer break. The boys and girls back at the factory deserve this time off, and to cap off the first half of the season with our best result yet is something we can use to motive at us going into the second half of the season. There's a long way yet, but the hard workers at Bernie Sanders Racing will keep their heads down and push until the end. :thumbup: Good result for the team going into the summer break. The boys and girls back at the factory deserve this time off, and to cap off the first half of the season with our best result yet is something we can use to motive at us going into the second half of the season. There's a long way yet, but the hard workers at Bernie Sanders Racing will keep their heads down and push until the end. We've been so good in the first half, I think it's only fair that we've authorized every worker at the factory to be given a FREDDO in recognition of their hard work. I'm sure it'll spur them on to work even harder in the second half, where we need to get some strong points again to stay ahead of the pack. Received an email from GP Predictor yesterday saying they're moving to an automatic system soon. Don’t forget to make your entries!!! F1 is BACK!!! And what better race then Belgium, home of Spa-Francorchamp. A circuit known for its unpredictable weather and notorious for its long straights on the longest circuit over the course of 1 lap distance. A track that rewards high horse power and top end speed. Last year Hamilton just barely held off Sebastian Vettel for the win. Will this be vettels redemption???? Heading into spa both Mercedes and ferrari brought with them a upgraded engine. But which engine would be the one to have. Turns out that Ferrari power was quite strong this weekend. The prancing horse duo took turns topping all 3 practice sessions. Proving what many have suspected all year thus far, Ferrari have the faster car. Lewis Hamilton wasn’t far off but in practice he was never quite able to top any practice session.. In qualifying ferrari looked poised to be a certain 1-2 lock out but then spa was well, spa. As the skies opened up and brought forth the rain at the start of Q3. That’s when Ferrari in all their wisdom couldn’t remember where they stored the rain tires delaying both cars in the pits. On top of that they also forgot to add fuel to Raikkonen car denying him a final shot at pole in the most critical part of quali. Heart breaking circumstances for the iceman as he looked great all weekend. In the end it was lewis Hamilton whom clawed his way to the top claiming a 5th pole at spa but the big shock was the mighty effort by both force India’s drivers claiming 3rd and 4th positions. What a roller coaster ride it has been for them lately. In the race it was more of the same from what we saw leading up to the race and that is, FERRARI had the fastest car all weekend long. Sebastian Vettel wasted no time dusting off lewis Hamilton at the first chance he got and never once looked back. Leaving Hamilton in a lonely 2nd place for the remainder of the race. Behind them was great drive from Max Verstappen and a good recovery drive from Valteri Bottas. Will Mercedes stand a chance at Monza? Can Bottas be more then just a wingman this season?? Is Force India going to shock the world once more??? Congratulations to KimiforWDC aka icemanjee1 for winning the Belgium GP and clinching their first win of the season. Notable mention to Project Mayhem for their highest podium finish thus far and for the first time ever we have a 3 way tie for 3rd as BancieriF1, Suit Up Racing & No Limit Excedrin Racing all scored 49 points..
Last edited by Mayhem on Tue Aug 28, 2018 5:40 pm, edited 1 time in total. Meeeeaaaann while back on our leader board No Limit Excedrin Racing leads the way with BancieriF1 still hot on their heels. No advantage was gained by either team as they both scored the same result. Bernie Sanders Racing cracks into the top 3 once again. Biggest mover this round was KC GRAND PRIX (+3) followed by KimiforWDC & Project Mayhem both gaining (+2). There isn’t much separating the top 3 from chasing pack as positions 4-6 are covered by just 13 points. While positions 7-13 are covered by 29 points followed by another close group as positions 14-18 are covered by a 25 point spread. Who will hit full potential at MONZA?? Better than I expected, so no complaints here. I firmly believe I had all the pieces in place to score big if that race hadn't been hit by the chaos ball: I had VET / HAM / RAI / VER / RIC / BOT / OCO / PER / SAI / LEC. Only Sainz would probably have been a big loss. Anyway, on to Monza: there's a real possibility of someone getting a big 100+ score here, since Monza tends to be predictable. I aim to make sure that it's me! I get the feeling a lot of us were in a similar position w/ the top 5 picks atleast. I haven’t looked over all the data yet but the fact that many people got similar scores, leads me to believe it would have been a high scoring round without the accident. Praise to Mayhem 's continued commentary of this competition. Love seeing the post-race updates. Idk how many people read the write ups but I try to make it as entertaining as possible and I enjoy bringing life to the game. The Italian grand pix home of the one and only Ferrari. Autodromo Nazionale Monza aka The Temple of SPEED is the fastest circuit on the F1 calendar and surprisingly enough the home town hero’s haven’t won here since 2010. Would this be the year the trophy comes back home??? In free practice the home town favorites topped the time sheets in both dry practice sessions but in fp3 the man that has made a habit of spoiling the Ferrari party Lewis Hamilton showed he wasn’t far off the pace. In qualifying Ferrari was putting on a impressive display of raw speed as Sebastian Vettel kept topping the time sheets leading into Q3. In the final round of qualifying both Mercedes and Ferrari opted to send their drivers out consecutively but Ferrari opted to send out their number 1 driver first while Mercedes did the opposite. As the final laps unfolded before us the time sheets were lighting up as all sector times were rapidly changing hands with every driver topping different sectors. Every driver improved on their final runs as Hamilton crossed line having provisional pole only to be topped by Sebastian Vettel whom immediately celebrated but HOLD ON SEB, quali isn’t over yet. Not only was seb not on pole anymore but he was toppled by the one and only ICEMAN !!! 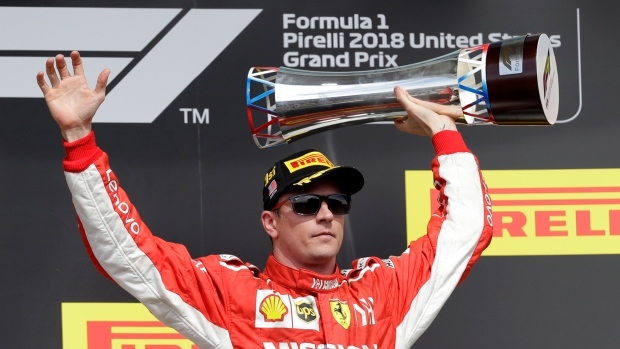 Yes, the often over looked and under rated Kimi Raikkonen has clinched pole for Ferrari for the first time this season and what a stellar lap it was by him. Ferrari now with the front row lock out and Hamilton all but pretty much written off. Would this speed translate to the race itself??? Can vettel get his act together? Will merc stun the world once again at Singapore ?? Should kimi play ball ??? Last edited by Mayhem on Mon Sep 03, 2018 6:14 pm, edited 3 times in total. That Grosjean DSQ cost me badly. Does anyone know if Autosport will recalculate the results if the appeal is successful? Singapore home of the marina bay circuit. A track that can separate then men from the boys with peak conditioning needed to complete this 61 lap marathon. Who would come out on top this year??? In practice all signs showed pointed towards the Ferrari having the edge around this tight street circuit but the Mercedes of Lewis Hamilton was a lot closer to the boys in red then previous years. The red bulls were also putting on a good show but would there practice pace turn into race success?? In qualifying Sebastian Vettel looked poised to take pole in the early stages of qualifying but in Q3 it was a entirely different story which no one predicted. As Lewis Hamilton laid down a gauntlet of a lap that even he himself couldn’t replicate. No one could come close to the perfect lap put down. Vettel gave it all he had but it slipped away from him as his final run did not deliver the goods netting him only p3. A great showing by mad max whom could have possibly matched Hamilton’s time or maybe surpassed it, if only he had some more power. In the race it was quite the procession train as Lewis Hamilton lead the way uncontested for the lead. While mad max & vettel swapped places twice putting them back in there original positions. None the less the action was short lived up front. Further back the force India’s collided once again and Perez went nuclear as he drove into Sirotkin. (What was he thinking??) Ferrari had the pace all weekend but didn’t turn it into the result they wanted due to what seemed to be poor strategy call. Are they feeling the pressure?? Is vettel just not cut out for a bare knuckle brawl or is their more going on behind the scenes?? - Can Sebastian make this a thriller to the end? - Will Perez explode once more?? - Is Esteban going to find another seat?? Last edited by Mayhem on Tue Sep 18, 2018 8:47 pm, edited 1 time in total. Meeeeeaaaaannn while back on our leader board after leading for 5 races No Limit Excedrin Racing has been over taken by BancieriF1. Congratulations to our new points leader. While the names in the top 3 remain the same the mid field has had quite the shuffle. Biggest mover this round was last years rookie sensation Buzzin Hornets followed by Harestock whom both gained +4. All while How F1 & Ernie_f1 both gained +3. With critical points scoring opportunities now coming who will rise to the occasion??? I wonder if 30 points is the lowest score someone has ever got for having all 10 of the right drivers in their lineup? Despite that, Sainz was the only one I got full points for, and I got none at all for Hulk. I'm really going to need to get back on form in Russia if I don't want this title to slip away! Oof, only 19 points This must be how Force India felt on Monday morning. The Sochi Autodrom a circuit that is one of the fastest street tracks on the calendar with one of the longest runs down the starting line. A track that has suited Mercedes since 2014, will this year be any different? Going into Russia all eyes were on Mercedes as they are the only constructor that has won at this track. Sebastian Vettel set out to make a statement in fp1 leading the way by .330 but that would be the only practice session he would lead as Mercedes quickly responded in both fp2 &3 with Lewis Hamilton leading the charge on both occasions. In qualifying it was Mercedes who stole the show as both Valtteri Bottas and Lewis Hamilton were extracting every ounce of performance in this high speed street circuit. Hamilton lead every quali session thus far until Q3 where Bottas dug deep putting himself on provisional as only .004 separated the two mercs. 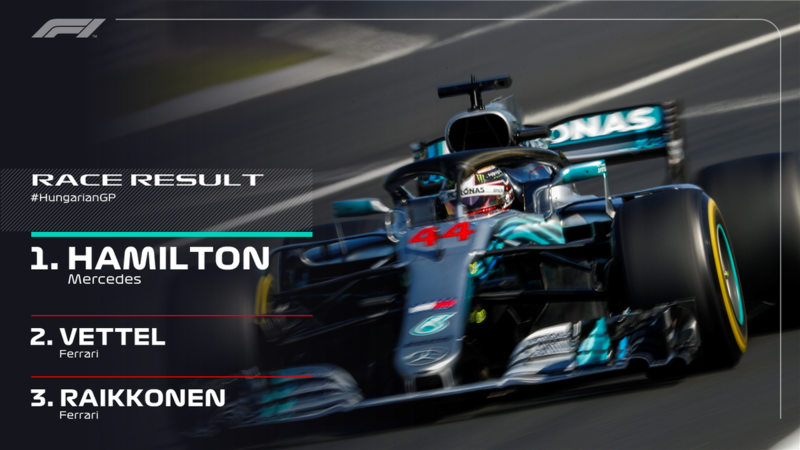 On their final attempts Hamilton looked poised to steal pole with a blistering .333 improvement on sector 1 alone but it was not meant to be as it all came unglued in sector 2 allowing Bottas to claim pole for the first time in Russia and Mercedes lock out the front row. On race day it was still all to play for with Sebastian Vettel desperately needing a great start to make something happen. At lights out it was a mad dash down the straightaway with vettel having no where to go as the mercs worked together to keep the prancing horse at bay. Mean while at the back, the baby faced assassin was slicing through the field gaining 6 positions in the first lap after starting p19..... it was all pretty quiet at the front until lap 15 where vettel undercut Hamilton and the fight was on. Hamilton now on full attack all over vettel heading down the main straight but vettel with a double move closing the door at turn 2 but hold on its not over yet as Hamilton stays with him through turn 3 and sticks it down the inside of turn 4 edging out vettel. - Will bottas continue to play ball? - Can vettel do anything to catch Hamilton?? - Has Ferrari fallen victim to poor development yet again?? Last edited by Mayhem on Mon Oct 01, 2018 10:47 pm, edited 2 times in total. Meeeeaaaann while back on our leader the top 3 remain unchanged as BancieriF1 extends their lead by 13 over No Limit Excedrin Racing whom also extended their lead over top banana racing by 10pts. In the midfield UltimoF1 & KimiforWDC were the big mover this round gaining (+3) and notable mention to Buzzin Hornets (+2) who’s late charge is gaining momentum with their highest position so far this season. The Suzuka circuit, a legendary track that has so much history on the F1 calendar with 11 world titles being decided here and 13 world champions crowned at this venue. It’s trademark esses and notorious 130R make this a must drive for all racers alike. Coming into suzuka Lewis Hamilton was riding high on the momentum wave winning 3/4 races since the summer break up to this point and it showed in practice as Hamilton swept all sessions leaving no doubt that he was ready to conquer this circuit once more, as Mercedes have not lost at this track in the turbo era. In qualifying it was more of the same as Mercedes topped both Q1 & 2 with vettel a couple of tenths behind on both occasions but in Q3 the weather would play a key role in the outcome as Ferrari opted to send both drivers out on inters while the rest of the field went out on super soft tires! (What a blunder) Ferrari quickly bringing both drivers back in for new rubber now ment that their drivers had to hurry and get a quick lap in before any rain came back again. But in all the haste both red cars made crucial mistakes at the spoon curve hampering their chances in taking the fight to Mercedes. - Will Hamilton seal the deal in the USA? - Can vettel do anything to salvage his legacy?? - How many more mistakes will Ferrari have this year??? Last edited by Mayhem on Wed Oct 10, 2018 2:42 am, edited 4 times in total. Who would have thought that Texas would be the place for F1 to make its home in the USA? Much less be one of the most exciting circuits, provided us with some great races since its debut in 2012 and has seen Lewis Hamilton on the top step 5xs since then. Would this year be any different? In practice the rain hampered much of the running as p1 & 2 were both wash outs. So the true potential of the teams wasn’t revealed until fp3 with vettel, raikkonen & hamilton all covered by less the 1/10th. Vettel made a mistake in judgement during red flag conditions and was given a 3 place grid penalty for the race. In qualifying Ferrari split tire strategies and put the iceman Kimi Raikkonen on the ultra soft tires, while vettel would be on the super soft. In the final Q3 shoot out it was Lewis Hamilton on pole once again with vettel right behind but his penalty would see him drop to p5 and promote he iceman into p2 with the ultra soft tires to start the race. At lights out Lewis Hamilton got off to a great start but the man who hasn’t gained a position on lap 1 since Abu Dhabi 2016 got off to an absolute flyer as he charged down the track holding off Hamilton into turn 1 and began to pull away from Hamilton as those ultra softs began to dig in. The race was now on at the front as Hamilton began his pursuit of the iceman who looked absolutely stellar. Further back Sebastian Vettel commits yet another costly error spinning his car with a brush against Daniel Riccardo. How many times haven’t we seen this same spin time after time this year?? The fight at the front continues as the iceman leads the pack with Hamilton pitting early under Vsc and was on a charge. Hamilton would once again catch the iceman but kimi would not yield with an excellent display of defensive driving would keep Hamilton’s charge at bay as the iceman tire’s were at their end. Hamilton would take over the lead as the iceman pitted but would Mercedes early pit stop strategy payoff? Unfortunately for Hamilton it would not pay off as his soft tires began to blister significantly and kimi would begin to reel in Hamilton forcing Mercedes to react and pit their lead man once again. Kimi once again on the lead with Max Verstappen in 2nd after starting p15 due to mechanical issues in Q1 and Hamilton p3 on fresh soft tires setting fastest lap after fastest lap. In the closing stages the front trio would be ever so close with max gaining on Kimi and Hamilton gaining on max. Side by side were Hamilton and max as Hamilton tries to make the move on mad max but the grip just wasn’t enough on the softs as he could not execute the move for p2. The iceman would survive the onslaught of attacks from his rivals as THE ICEMAN WOULD END HIS WINLESS DROUGHT IN THE USA!!! - Will Hamilton clinch in Mexico ? - is vettel the new crash kid ?? - Can raikkonen shock us again ??? Congratulations to Buzzin Hornets aka BeOnEdge for winning the USA GP & their 1st win of the season!! Last edited by Mayhem on Wed Oct 24, 2018 12:26 am, edited 5 times in total. At least my title challenge is still going better than Vettel's! Did better this round but both FI drivers not finishing as expected did hurt. However, Ocon in 10th did fetch me 5 points as he finished in 11th. The AUTÓDROMO HERMANOS RODRÍGUEZ mexico circuit known for its signature stadium section where the roar of the crowd ripples across the track and home of local hero Sergio Perez. For the second year in a row we could see a champion crowned here. Would this year be any different? Throughout practice Redbull looked to have some blistering pace. To the point where the competition was left scratching their heads. Max Verstappen lead all practice sessions but was struck with an all too familiar foe with reliability always lingering over the team. The team was sure they had resolved the issue but did they really? Or would it just be a ticking time bomb? In qualifying mad max was still looking good to clinch his 1st ever pole but the competition wasn’t too far behind with both merc and Ferrari looking racey. That was until Q3 where mad max set a new track record. With all eyes on max and his bull on the last runs no one was really watching the other Redbull driven by Daniel Riccardo. YEAH THAT GUY, the smiling assassin was the only car on track who was improving his lap time. He sliced and diced the tricky sector 2 and went purple eclipsing his team mate all while stealing pole. A much needed boost for Riccardo as his Redbull days are coming to a close. On race day we had Redbull leading the charge 1-2 with Lewis Hamilton 3rd and vettel 4th. You could cut the tension with a knife as mad max wanted redemption, Lewis wanting a clean get a way and vettel needing a win! At lights out a poor start by Ricardo immediately saw him drop to 3rd with max leading the races and hamilton in hot pursuit. Tire strategies cane to play in this one as just about every single combination was used in this one but they were no match for the pace of the red bull of mad max as he surged for the win with yet another heart breaker for Riccardo. Will Hamilton go into cruise control? Can Riccardo finish a race ?? Will heads roll at Ferrari yet again??? Last edited by Mayhem on Wed Oct 31, 2018 2:10 am, edited 3 times in total. Meeeeaaaaann while back on our leader board it’s getting lonely at the front as BancieriF1 continues to extend their lead. No Limit Excedrin Racing regains the 2nd place spot in hopes to mount a late title charge! Big movers this round were Project Mayhem & PredictablyPoor both gaining (+2) while everyone 13 & below didn’t even flinch. UltimoF1 is leading the midfield charge could another win net them in the podium spot??? I had six drivers finish one place away from where I predicted. One of those mega points weekends goes missing again.. Two more chances to get one. What could have been... I had all 10 of the right drivers in my prediction, but let's just say that they're not mostly in the right places. Hello everyone just wanted to inform you the site has yet to tally the scores. I will post as soon as it’s done updating. I know that feeling all too well.